Sometimes you just need a change – a small change. Many times I will add new pillows to change up the look of my space, or a throw or maybe a lampshade. I found this lampshade for $1 two years ago during an after Christmas sale. I snagged it up knowing I would recover it someday. 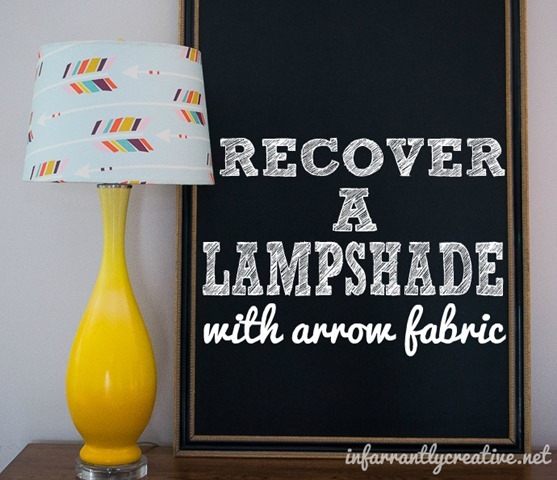 With this pretty arrow fabric from Spoonflower I revamped the Christmas shade into a colorful spring shade for my spray painted yellow ombre lamp.